2014 started off on a high note with the launch of – the bi-monthly newsletter from eWIT and we have received very good response for this initiative. Thank you for the continued support. Women’s day is around the corner and every organization will be ready to celebrate the event with a lot of zest and joy. Send us pics of the Women’s day event in your organization and as to how it made a difference to you – email : editor@ewit.co.in. Make sure you remember to write in your name and organization in the email. We would be happy to have it as part of eWIT’s Facebook page! The event was jointly conducted by eWIT & Prajnya. This was conducted as part of Prajnya’s 16 days campaign against Gender Violence. The panel speakers were Ms Gayatri Buragohain, Founder, Feminist Approach to Technology, Ms Harini Calamur, Head, Digital Content, Zee Media Group and Dr. Anja Kovacs, Director, Internet Democracy Project moderated by Ms. Kalyani Narayanan from eWIT. The event started with Ms. Swarna from Prajnya introducing Prajnya and its tie-up with eWIT. Ms. Kalyani Narayanan gave a brief introduction about eWIT and its work towards women empowerment through workshops, events, etc. Ms. Kalyani Narayanan went on to introduce the speakers and the topic of the event. Ms Harini defined digital media as any personal device such as tablets, laptops, mobile phones, etc. where information can be seen and sent via internet / phone. By using the digital media effectively, one can change the attitude of the society and stop violence. She went on to say that Television programs where women are portrayed as housewives who constantly sacrifice their needs for the needs of the family get better viewership than those where women are portrayed as bold and successful outside the family. The attitude of the society can be stopped by constantly (and creatively), celebrating women on the digital media. Both men and women need to take part in this. For example, a male speaking to the media that he is a proud father of two daughters will reinforce ideas against female infanticide or feticides. Today, it is a lot less expensive to showcase even real life stories on digital media such a male or a female sharing their personal life stories would be a great way to change attitudes. One is likely to get more people to support you in digital media than in real person because of certain anonymity that exists in the digital media. The message was : To use the digital media to change attitudes thus transforming ideas that exist in society, one step at a time. Ms. GayatriBuragohain shared her thoughts on the subject. In the IT Industy, the work involves a lot of team work and communication among the team members. Working women spent more time at work than at home. Therefore, it is but natural where complications related to gender violation would occur. Women are experiencing new challenges by entering into work place,while at the same time, the men too find it difficult to adjust to an environment where they are no longer the sole bread winners. She felt the percentage of women taking up IT as career are very less compared to other fields as the reason may be the prevailing gender bias in IT field. May be it is not the personal issues that make women fall off their career path. May be many women feel neglected, and ignored by their male colleagues when they work as a team. The feeling of being treated like a second class citizen causes some of them to quit. She suggested women should take up leadership roles so that they can be a role model for other women in the field. MsGayatri also suggested that IT women develop apps that are helpful to other women. Dr. Anja Kovacs said that she felt that in many ways online is less dangerous than physically facing violence. The anonymity that online provides is both empowering as well as threatening. The marginalized segment of society can derive a lot of support and power on digital media because of the anonymity which provides the freedom to voice their support anonymously. Consider internet as a street and act as such. She said that, “We would not physically hang around in shady places that lurk danger, would we? Similarly, in cyber space, do not give out personal information on digital media.” She suggested closing private settings, photos in Facebook, Twitter, etc. to public to avoid gender based violence. She recommended not handling issues in isolation but get the cyber community involved while handling online abuses such as re-tweeting. There were many questions and discussions around the responsibility of Facebook, Twitter, etc. What kind of laws are they governed by and if we find unacceptable content on the digital media, what are the possible steps one could take to get it removed. The event ended with the thank you note from Ms. Kalyani Narayanan of eWIT. For the Integra women, most of whom are young mothers, living in traditional family set up that is typical in any Tier-2 city of India, a session was needed to interact and also encourage them to have a career along with a family. In addition, it was felt that some awareness on ‘How handling issues at work differs from Managing issues at home’, would help them become better professionals. In order to help them cope with work life balance, and also bring certain professionalism into work place, eWIT felt that Kalyani Narayanan, who is the CEO of www.easyinsuranceindia.com, who hails from one such typical family set up, would be able to better identify and share her experiences and learning with this group. The way we manage our time, communication and self, differs very much at home and at work. Kalyani highlighted these differences with experiences from her own past to drive the point home. For example, typically the way one would communicate with her children and in-laws to make them understand why working is important, is totally different from how she would deal with a peer who shows resentment at work. More than 250 women attended this 90 minute session. The feedback received from Integra was also encouraging and would be available at the ewit website(www.ewit.co.in) shortly. Many of us take a career break for multiple reasons and by the time we decide to get back, much of the scenario at the workplace has changed. While it is good to take up courses which are “One size fit all”, how many of us yearn for the course which is most suitable just for us? Here is Code Academy – www.codeacademy.com, which helps a person learn at her own pace, starting with simple exercises leading to learning invaluable skills at the end of the course with self-paced learning modules. Meet, Liz Beigle-Bryant, 55, who started her new career at age 55!, with lessons from Code Academy Liz Beigle-Bryant was laid off from her job in November 2012. After a couple of months' hard work she now has a new position. 1. Why did you want to learn to code? I once described Codecademy as M&Ms for the mind — it sure beats playing Mahjong, Farmville or other ways of procrastinating. Thirty years ago I was making $15 an hour as an analog draftsman and technical illustrator. Before I was laid off this past November, I was fighting to get $15 an hour for administrative jobs. So instead of letting the world push me into a tiny $15 box, I'm changing the game by reinventing myself. Earlier this year I started taking SQL Server courses to complement my SharePoint work. Through those classes, I found out that I'm actually pretty good at coding and find it really fun. But I don't have the $3000 it will take to finish the course; that's one aspect of what makes Codecademy so great - it's free! 3. Did knowing how to code help you in the job search? I also get a lot of self-esteem and motivation through streaks, badges, and points. It helps me stay resilient during the days when I’m facing disappointments, and keeps me focused on positive activities that have the added bonus of being highly marketable. A key part of the job search is staying motivated and positive during what is a pretty soul-destroying process. I once described Codecademy as "M&Ms for the mind" — it sure beats playing Mahjong, Farmville or other ways of procrastinating. I like to think of myself ‘living’ time instead of ‘killing’ time by learning to code. I was diagnosed with ADD a couple of years ago; that accounts for my current lack of a college degree. The cool thing about finally knowing about the ADD is that I can now tailor my approach to learning. Codecademy's small lessons really help a person like me who has trouble focusing on long lessons or technical tomes. 5. Any parting words of advice? Sell yourself 'long', don't sell yourself short. After the latest layoff, a dear friend of mine who is a senior HR manager counseled me to go after receptionist jobs, because I'm competing against so many younger people for the available 'better' paying administrative jobs in this tough economy. The advice was meant well, but I didn't want to go backwards in my career. I didn't want to sell myself short, so I started looking for ways to make myself more marketable. I wanted to complement my SharePoint skills, so I found Codecademy to work on HTML and other web tools. Because of what I learned at Codecademy, I'm now a full time SharePoint Content Editor instead of selling myself short. Companies with women-friendly policies often receive the recognition they deserve. Catalyst is a great place to start your search – and it’s an organization we often feature on The Glass Hammer. The organization awards companies for excellence in addressing diversity issues, while also serving as a resource for businesses and job seekers. Other resources include the National Association for Female Executives, which publishes a list of top companies for executive women, Working Mother Magazine, known for its list of 100 Best Companies, and Vault.com, a site that posts company rankings, salary data, and more. For anyone working in accounting, Accounting Today Magazine is a must on your subscription list. You should also find out if your potential employer is included in the Accounting MOVE Project, a yearly report that profiles firms that are making headway in retaining and advancing women. Companies often emphasize diversity hiring, work-life balance, and/or benefits packages on their website. However, that doesn’t mean they have impactful programs in place. Weeding out the posers from the real deal is essential. When programs are effective, they make a significant difference in your career. Danile Flynn attributes part of her success to the Rainmakers’ Roundtable at Rothstein Kass. The program works in two ways: first, by offering sessions on how to build a network and seek out referral sources, and second, through actual networking with other professionals. CohnReznick developed a similar program in 2005. The WomenCAN: A Collaborative Agency Network for Women provides access to mentors, roundtable discussions with firm partners, leadership development courses, and other professional growth opportunities. It also gives participants a forum where they can exchange ideas and strategies on issues that affect women. “The WomenCAN network is one of the things I’m most proud of,” Lifschitz said. Leadership says a lot. Are there any women in upper management or executive roles? The more women there are at the top, the more likely it is that a company has a women-friendly environment. One of the best ways to determine a company’s culture is by speaking with current or previous employees. If you don’t know anyone, try reaching out on LinkedIn and ask how satisfied they are with the career coaching they are getting. Are they advancing with the skills required to become partner? “If they are told ‘just keep doing what you’re doing’, then the firm is struggling to communicate the future it envisions for its rising women,” stated Cleaver. Joining a professional organization like AWSCPA or the Accounting and Financial Women’s Alliance (AFWA) can also advance your career. Membership helps you build your professional network, and connects you with mentors. “Does the firm offer a ‘career advisor’ system that ensures that I always have mentoring/coaching/sponsoring conversations with those who have a broader perspective on the firm’s growth goals and how I might fit into that growth?” This is important to ask because you want evidence that you won’t get overlooked for growth opportunities. “How exactly are team leaders held accountable for translating the firm’s big-picture goal of advancing women to daily goals?” This is important because you want to make sure the firm’s blue sky initiatives aren’t ignored or negotiated by line managers on a whim. Team leaders should be measured on how well they deploy the firm’s practices and policies to develop talent. “If I join this firm with the expectation that I will be postponing my ambition to attain partner for a few years, how exactly would I change gears when the time is right for me to accelerate on the partner track?” While a firm may be great about flexible work arrangements, that doesn’t always mean merge your way back when you’re ready. “I believe it is acceptable to ask how many people are on customized arrangements and of those, how many are in leadership positions,” Danile Flynn said. Innovative firms offer the work-life and career advancement programs that support transition. After interviewing candidates over the years, Lavine says it’s OK to ask direct questions. An interview is more than a question and answer session. Potential employers inadvertently drop hints about what it’s like to work there. If something said sets off a red flag, don’t ignore it. Lastly, trust your intuition. If the position doesn’t feel like the right fit, keep looking. By following these tips, you’ll be one step closer to getting your dream job. Here’s an interesting survey conducted by LinkedIn as to ‘How many women women believe they can have relationships, children and fulfilling careers’. Look at the Infographic compiled by the renowned Chocolatier - Ghirardelli. 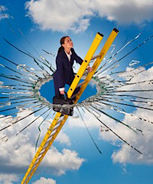 Says Becky Blalock of The Wall Street Journal Blog, have watched many talented people struggle to advance beyond middle management and through the glass ceiling. Women have particular trouble making the leap: while women hold over half of the professional jobs in the U.S., they only make up 34% of middle managers, 14% of executive officers, and a mere 4% of CEOs. In middle management and below, the job is all about execution: delivering on the ideas and strategies that others have created. In the C-Suite, the job is about determining what work needs to be done, and then leading a team to make that work happen. These require very different skill sets. Doing well at execution requires specialization and focus. Doing well at the executive level requires a global understanding of the business environment and the tasks at hand. To show you have what it takes to be in charge, you have to be willing to take charge. Too many times I’ve seen people sit back and wait for someone to tell them what to do. If you want to be in the top jobs, don’t wait to be asked. Figure out what needs to be done and then make it happen. Mentors are people who can coach you in areas where you don’t have deep knowledge. They provide professional and personal support as you develop your career (and you, in turn, should seek to provide similar support to them and others). They can be, but usually aren’t, people in senior levels of management, as those individuals may not have the time or specific knowledge to mentor you effectively. That’s why sponsors are different from mentors, and in some ways even more critical to moving up the ladder. A sponsor is a senior-level leader, that is, someone who sits at the decision-making table, who is willing to advocate on your behalf. This is vital, since most of the decisions about the top jobs are made by a senior team. If you do not have at least one cheerleader among this group, you are not going to get the top jobs. We all love to stay in our comfort zone. Stepping outside that zone brings the risk of failure. But it is new experiences that provide the most opportunity for personal and professional growth, and those looking to reach the next level must push themselves to take risks and be uncomfortable on a regular basis. To make risk-taking easier, you have to adjust your attitude towards failure. Failure happens all the time and it should not scare us. It teaches us what doesn’t work so we can be more successful on the next try. We can gain a certain amount of knowledge from books, but nothing replaces on the job experience for getting you ready for the next career stage. And yet too many people, myself included, have avoided wonderful opportunities because the fear of failure was too great. To counteract the fear of failure, continuously nurture your abilities and self-confidence. The more confidence and expertise you have, the more you become like a bird that “trusts not the branch, but its own wings.” Also be sure to take the time to develop your personal networks, so that if you do stumble, you’ll have plenty of backers to help you get back up on your feet. Finally, if you want to lead, you must have strong emotional intelligence. That’s because the higher up the corporate ladder you climb, the less the job is about you, and the more it is about who you surround yourself with and your ability to lead and motivate others. No one can know it all, so having others who think differently and possess skills you may not have become critical to being successful in senior management. Executive-level leaders must have self-awareness and an ability to keep their emotions in check. They must listen before reacting. As Stephen Covey recommends, “seek first to understand and then to be understood.” Above all, executives must be ethical and behave in a way that inspires trust and respect in those who work with them. People want to work for someone with integrity, who cares about and invests in others. Meet – Ruchi Sanghvi, Facebook’s first woman engineer on the US immigration Bill, her reasons for investing in firms such as Flipkart, and being a member of FWD. 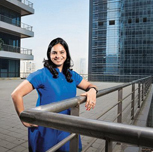 In a world dominated by male engineers, India-born RuchiSanghvi in 2005 became the first woman engineer at the world’s largest social networking site Facebook Inc., where she was instrumental in implementing the first versions of key features such as News Feed and leading product management and strategy for Facebook Platform and Facebook Connect. She left Facebook in 2010 and a year later founded Cove—a company that built collaboration tools for private companies. It got acquired by cloud storage company Dropbox Inc., where she served as vice-president of operations. Ruchi, who holds bachelor’s and master’s degrees in electrical and computer engineering from Carnegie Mellon University, said in an interview she is “now taking a well-deserved break” to think about her future plans even as she remains an adviser to Dropbox, where her husband Aditya Agarwal is vice-president of engineering. Sanghvi also shared her thoughts on the proposed US immigration Bill, being a member of the FWD.us—pro-immigration reform lobby group—and her reasons for investing in companies such as Flipkart.com. Much of your fame comes from being the first female engineer at Facebook. Back in college, I was one of the five girls in a class of 150. At Facebook, I was the first. And usually in tech companies, 10-15% are female engineers. And unlike other industries, technology is more forgiving as it is completely based on meritocracy. Being a female, I had to do a lot of behaviour adjustments, and in my case I got more aggressive. I am not afraid to ask questions or ask for things. I was always raising my hand, asking for opportunities and am very opinionated. And there were times when people call you stupid, but it’s all a part of a steep learning curve. The flip side is while I was doing this, I did not realize that there was a negative perception associated with it. My reputation in the industry is that of a very opinionated and aggressive person. Which is not who I really am. I just happen to be a woman who is aggressive and vocal. Given your own experience, did you hire any female engineers to try to change trend? In many ways, I feel that women are more strongly biased against women. Women need to understand their own biases. With very little room at the top, especially when you are a woman, and shortage of female talent (in engineering), we need to recruit. Women also change the dynamics of how a company works. First of all, 50% of our customers and users are female. So it’s good to have females in the company who can cater to these. Second, women are more consensuses-driven. Third, they are more collaborative and more understanding. Personally, though, I have not been very successful in changing the trend. Why did you leave Dropbox? What are your future plans? I have been in the technology industry for the last decade or so. I started off at Facebook, then ended up starting Cove, where we built collaboration and coordination tools for private communities. Cove did collaborated search, helping identify people in your huge network whom you don’t necessarily recognize by names or faces but still need to liaise with. I sold Cove to Dropbox in 2011. When I was at Facebook, we were about 20 people and when I left (in 2010), we were about 1,500 people. At Dropbox, I saw it grow from 18 to 400 people (currently) in less than two years, and also saw its market cap soar. We began building products for a few million users but now build products for not just users from the US but from across the globe. I want to be able to take all these experiences, take everything I have learnt, and find a role where I can use all these experiences. In the last decade, technology has changed the way to work and live, and I have had the opportunity to play a key role in that movement in the last couple of years. I am interested in how technology is moulding people’s lives, and that is essentially why I left Dropbox. Everything I think of as an engineer has a set of constraints from point A to B. Now I can work without constraints. What are you doing in your advisory role at Dropbox? While I was at Dropbox, I was in a unique position and had many roles. I started out as an engineer and moved on to project management. And later ran recruiting, marketing and even communications. As an adviser, I continue to help with product strategy and recruiting, while also helping set the vision and strategy for Dropbox. Both Aditya and you are very busy people, and accomplished in your own fields. How did you meet him and how do you manage to strike a work-life balance? Our professional relationship has been much longer than our personal one. We met in college and had a couple of classes together, a couple of projects together, and that’s when we started dating. He moved to California. And I graduated about six months after him and was going to go to New York but panicked when I looked at my cubicle and the city. So I flew to California, where Oracle Corp. offered me a job. We worked at Oracle together. When I was graduating, I was (in) the first batch to use Facebook. And since he graduated earlier, he had not used Facebook. When we got to Silicon Valley, we both joined Facebook but worked on different projects. I quit to start Cove and convinced him to resign and become my co-founder. Now I have left while he remains at Dropbox. So we will see (laughs). You have also been an investor in and adviser to a number of Silicon Valley companies. Any notable names to share and reasons for investing? There is a difference between what I have invested in and what excites me. The underlying theme across the companies that I invest in is essentially in the strength of the founders. Obviously, it depends on the product, and if it is good or not. But strength of the founders is very important. In 2007, I came back to India and tried (to do something) but found it very difficult. Besides, my network is in San Francisco. So if I have to start something, the first thing I need is people. And it is a lot easier to do things in the US. You have also been involved in the FWD.us campaign on immigration. What are your thoughts on the US immigration Bill? Silicon Valley is a very idealistic society. So FWD.us is a mission to step down from the idealistic world and do some real work. The mission is to boost the knowledge economy. Immigration is only one part of it, the other part of it is to figure out bipartisan policies to help include STEM (Science, Technology, Engineering and Mathematics) studies in the education system. Immigration is a really hot topic and I am very satisfied with the senate Bill. I am hopeful that immigration reform will pass, even though right now Washington is divided. What kind of trends you are seeing emerging in the technology space? Genomics is going to be an extremely interesting space. It used to be really expensive to sequence genomes but the cost is coming down. Earlier they gave you a hard disk and there was no way to analyse that data. Now with cloud storage, processing and analytics, all that is going to change the field of medicine. Education is another interesting trend. And it is going to be complicated and not going to be easy. It still remains to be seen whether working with the offline model is the best way to move forward or having online curriculum elements melded with it. The third trend is cloud. In the next five years, this space will see a lot of action. One of the reasons why I sold my company to Dropbox was not because we needed the money or we weren’t doing well. It is because Dropbox is building collaboration software. And we wanted to use the platform that Dropbox already has and build on it. The most exciting thing about Dropbox is not that it is cloud storage or that people are storing data, but that we are going to have all this data about us—financial statements, electricity bills, school transcripts, photos, video, et al.—that will all be online. eWIThas been conducting “eWIT Excellence Award”, a Paper Presentation Contest, to unleash the potential of IT/ITES woman professionals, to showcase their talent and expertise in their respective areas for past 7 years. Over the last few years, we have had an excellent participation by women professionals and students for this competition. This year there were about 100+ registrations received from various organizations for this contest. The papers will be evaluated by the following eminent panel of professionals in the IT/ITES Industry and get a chance to know what the thought leadership is, on these topics! The oral presentation for all the categories willbe held on 15th March 2014 at one of eWIT’s corporate member’s office, RR Donnelley. The winners of the contest will get a certificate, cash prize of Rs.10,000/- & the runners up of the contest will get a certificate, cash prize of Rs.5000/- . In case you are receiving our e-mail in your Junk-mail/Spam, mark this e-mail as Not Junk/Spam or add it to your Safe Sender's list. acknowledges that all the company logos shown in the newsletter are registered trademarks of the respective companies. , a bi-monthly newsletter, carries edited extracts from news stories, research studies, and our own content. To view this abridged version, either click on the link or read from the original source mentioned. has not verified the stories / surveys / research findings and cannot guarantee their accuracy. is not responsible for failure to receive its newsletter due to spam filters, address-book filters, or due to any or all other reasons.